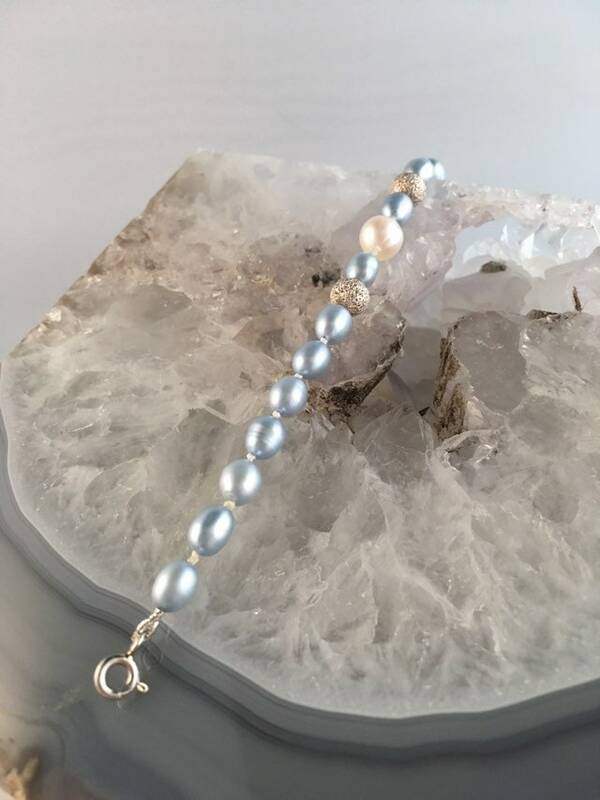 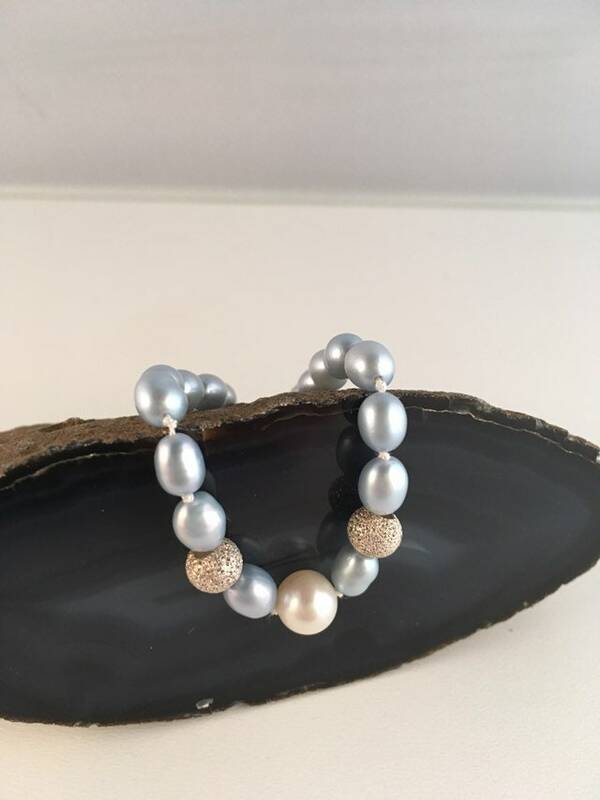 Lovely blue pearl bracelet. 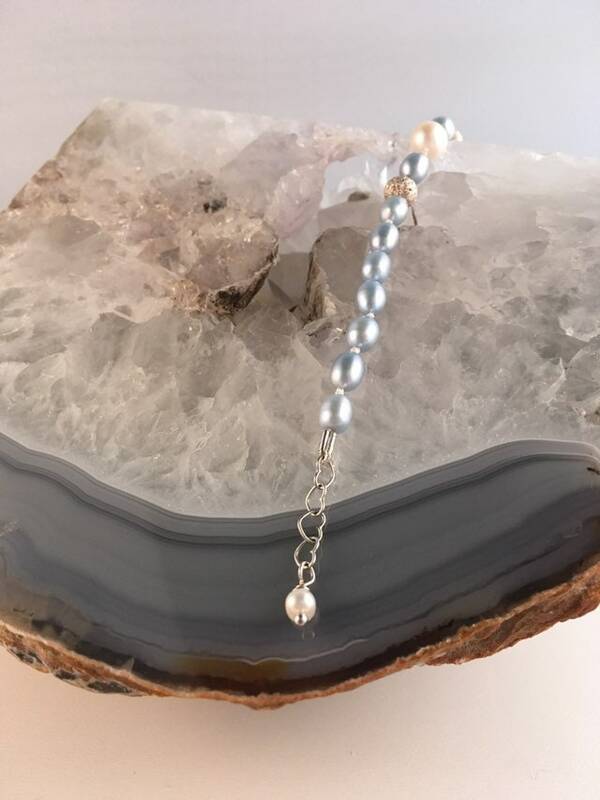 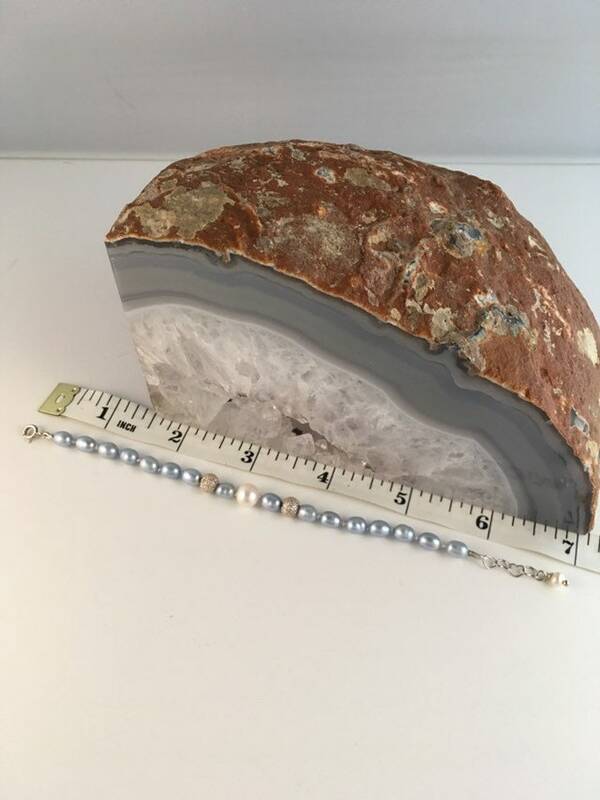 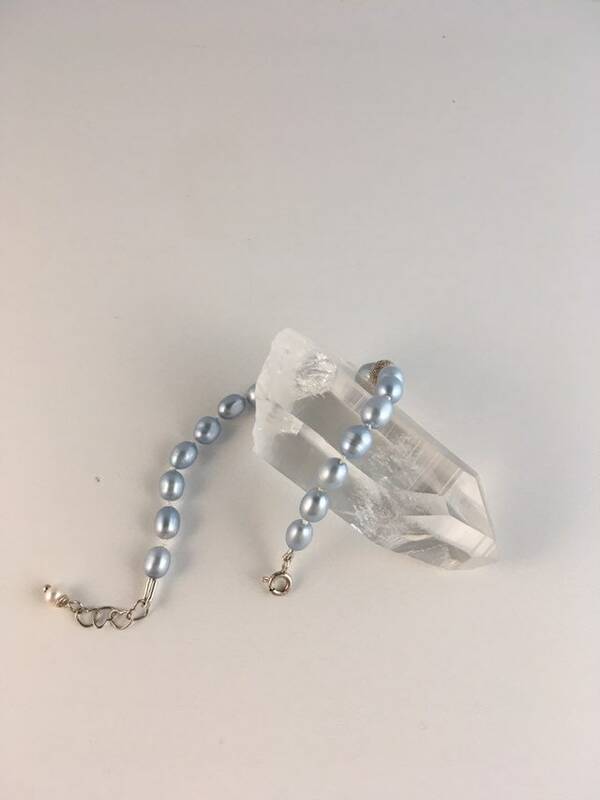 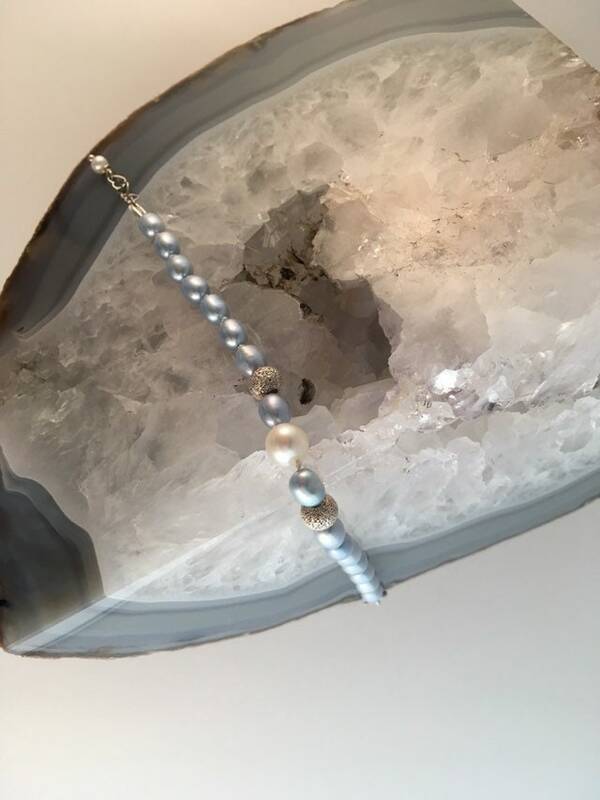 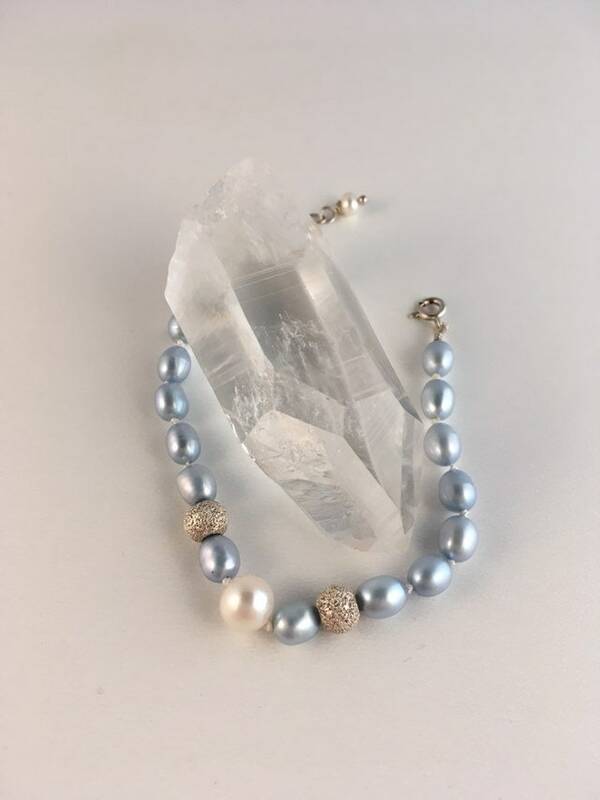 Featuring a white, center pearl with stardust beads. 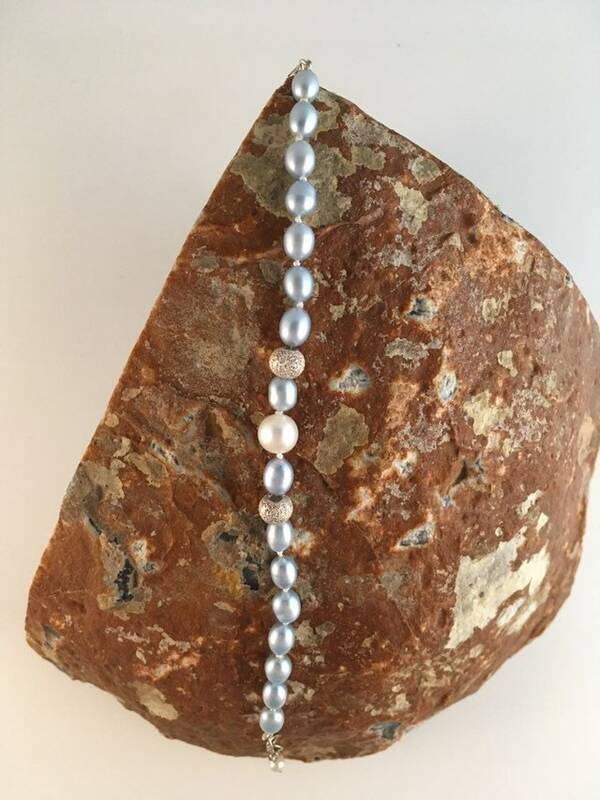 All genuine, freshwater, cultured pearls. 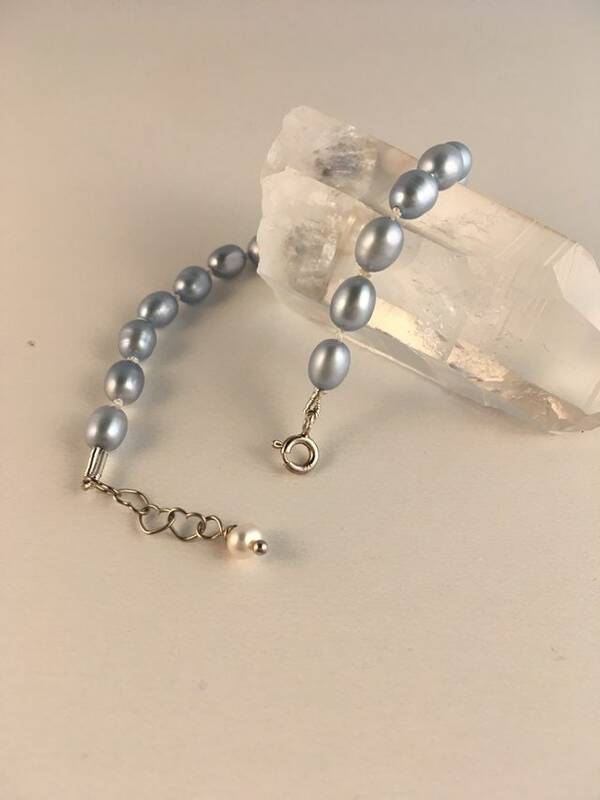 Findings are sterling silver. 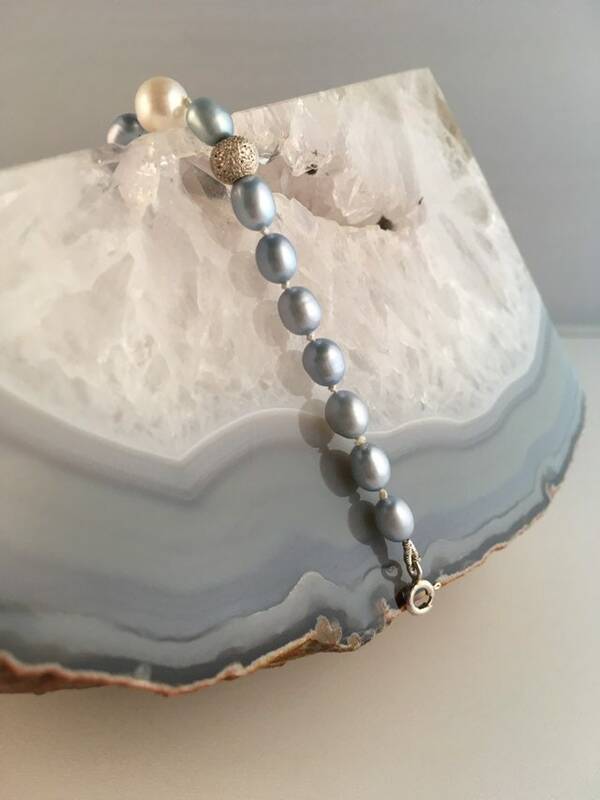 Pearl knotted .